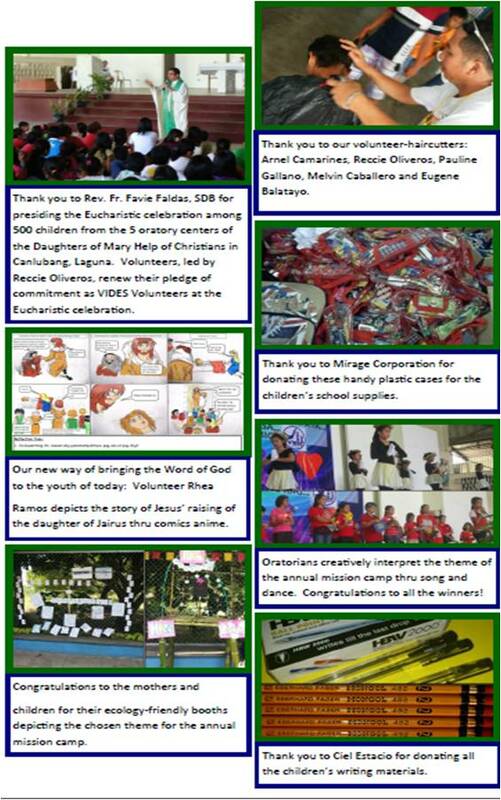 VIDES Philippines' annual big event was held last Saturday, May 25, 2013 at the Gym of the Mary Help of Christians College (MHCC) in Canlubang, Laguna. Seventy-seven VIDES volunteers joined hands with the FMA Community to serve and spend a worthwhile day with 500 oratorians, composed of children and teens from various areas in the province. Reverend Father Favie Faldas, SDB officiated the Eucharistic Celebration. To underscore this year's Mission Camp theme, "Mabuhay ng may Kaganapan Tungo sa Pananampalataya, Pag-asa, Pag-ibig," Fr Favie explained the importance of living in faith, hope and love to experience the fullness of life. He also recognized the dedication and commitment of the volunteers and all people who wholeheartedly offer their time, talents, and resources to help improve the lot of others. 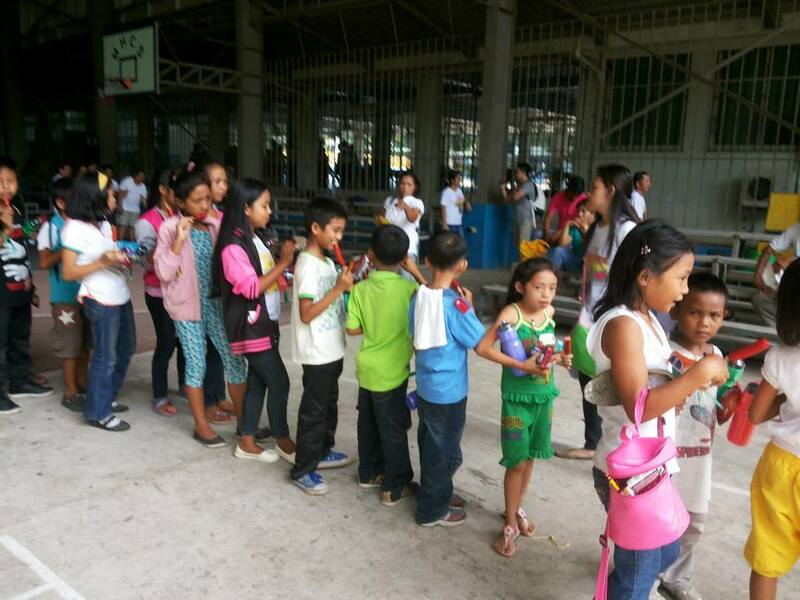 He enjoined the children to also follow the same path. 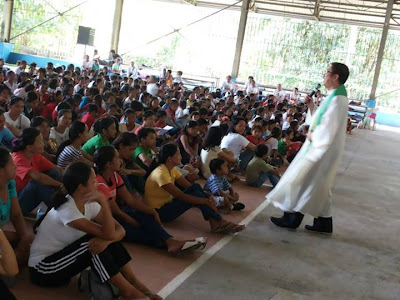 After the mass, various activities were held simultaneously. Designated VIDES volunteers led the sharing and learning sessions with their assigned groups. The others took their posts at the hair cutting and medical stations. 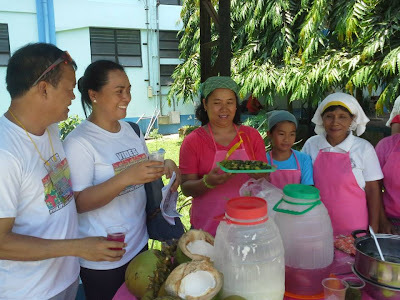 The local women started working on their palamig (refreshment) entries and the youth got busy decorating their booths Each team did their very best to bring home the top awards. 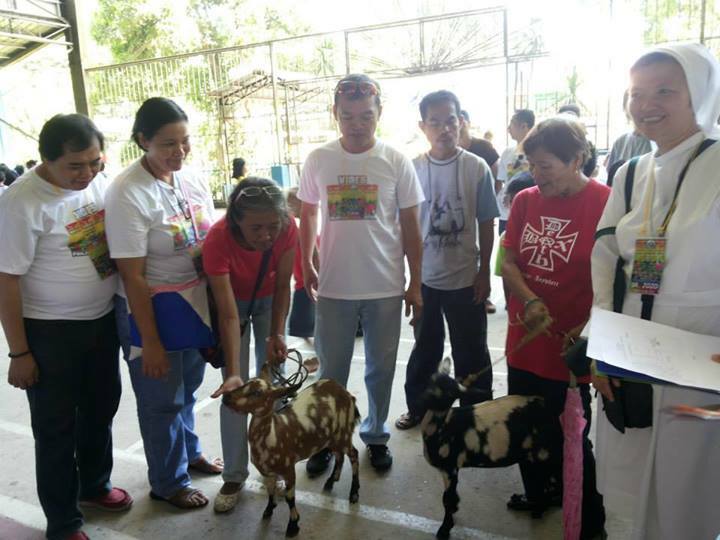 Officers and members of the VIDES Board of Trustees turned over 10 hogs, 2 goats, and chicken broilers to the chosen beneficiaries of the organization's livelihood program. After sharing a simple lunch, the VIDES Got Talent Show commenced. The oratorians went on stage and presented their unique interpretations of the mission camp's theme. 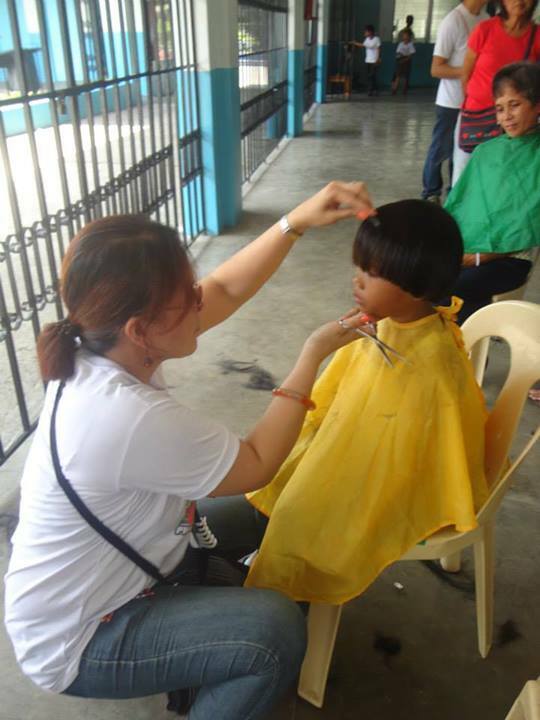 While waiting for the announcement of winners, fun games were held. 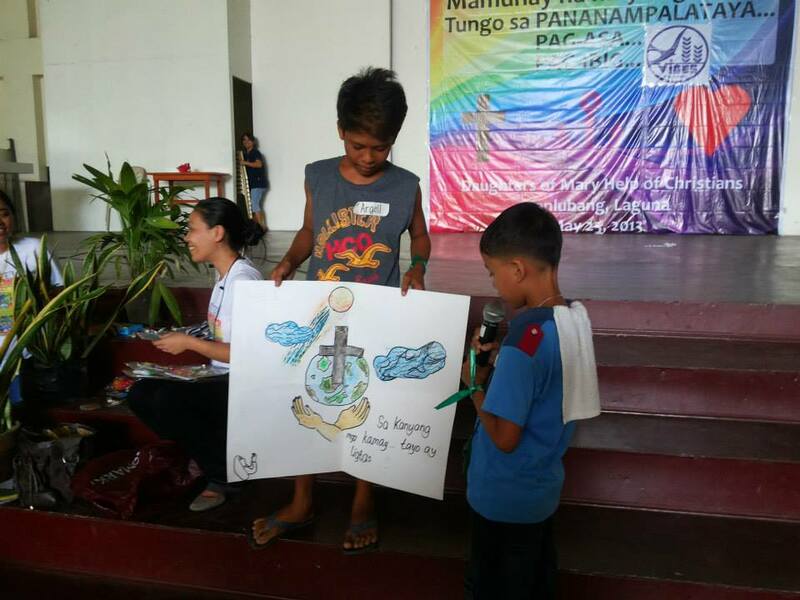 The representatives of each children's groups were also called on stage to explain the meaning of the posters they made. 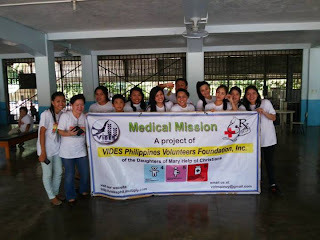 The VIDES volunteers ended the day's program by presenting a special dance number and enjoining everyone to dance and sing praises to the Lord. The Mission Camp beneficiaries, young and old alike, happily went home with loot bags filled with rice, grocery items, school supplies, and other useful supplies. 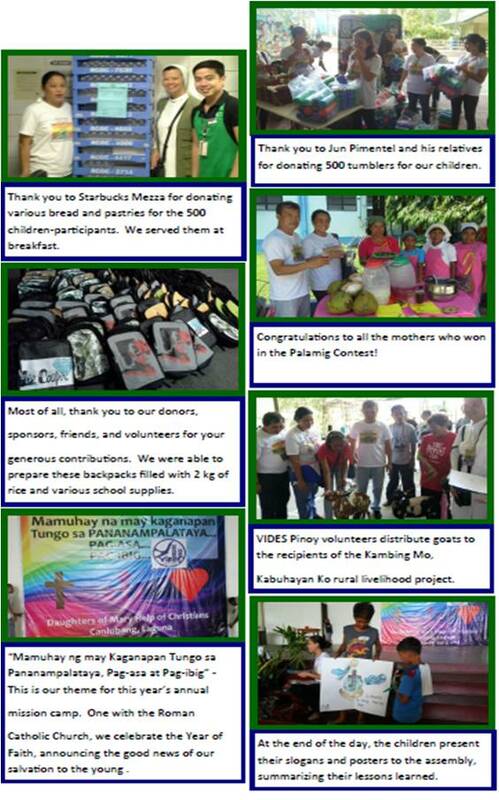 They also brought home memories of a worthwhile, fun-filled day. 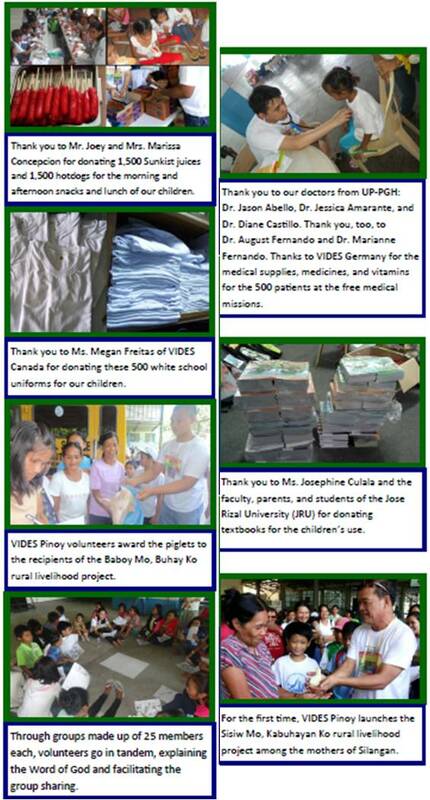 VIDES Philippines would like to express its utmost gratitude to the very generous donors and selfless volunteers who made this year's mission camp possible. May the Almighty continue to shower you with an abundance of love and blessings.